Each bedroom is as unique as the inhabitants themselves however there are a few basic items everyone needs. For me, I really need a peaceful and cozy bedroom, a place where I can relax from the day and give myself a break from processing the demands of life. This means I don't keep too many unessential items in my space, even though throughout the day things like abandoned shoes, loose papers and kids toys get shuffled in and out, the permanent features remain true to the basics. 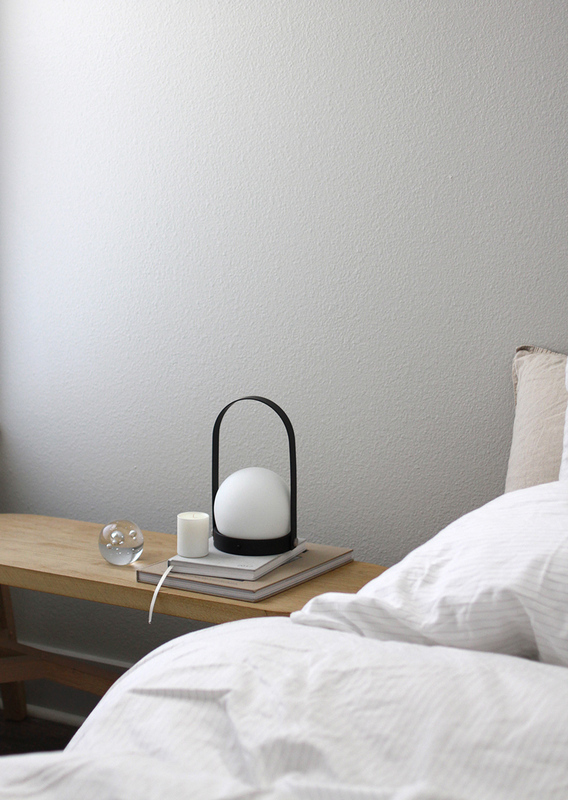 I've collaborated with Brooklinen to share some of my bedroom basics and those things needed to compose a tranquil and comforting space to retreat to! At the moment we have 3 or 4 different kinds of lighting because I like having the option to control the volume and intensity of light depending on whether I'm using my room to watch a movie, read a book or organize desktop papers and sketches. Near our bed we keep a dimmable and portable lamp but also a candle somewhere, it might wander from one table to another but lit candles are so peaceful to me (and many others) and really help me unwind. 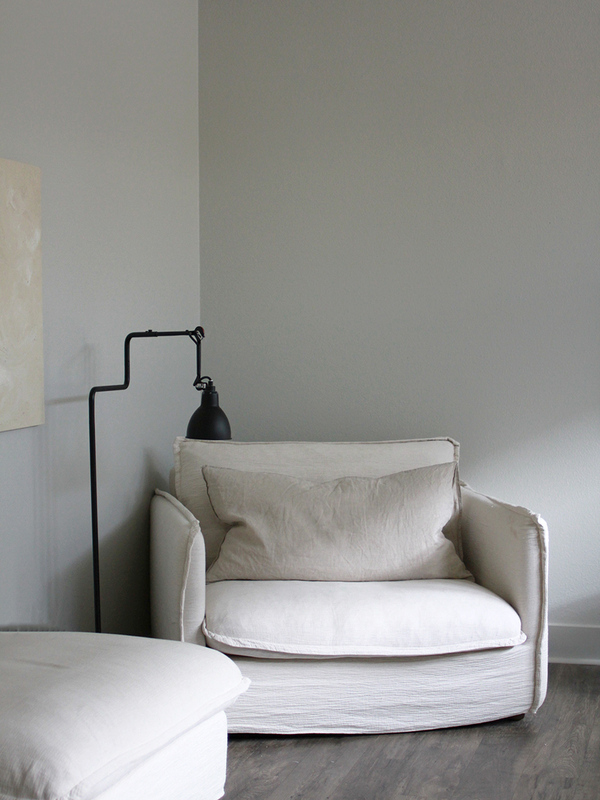 There's also a ceiling lamp lamp made from textiles similar to our bedding, to me is just looks soft and organic which is a look I wanted to be surrounded by in my bedroom. Additionally I have a floor lamp in the corner of our room, a sort of reading corner where direct light is really helpful. Bedding is obviously a huge component and one of the most important bedroom basics. Regardless of whether you have a teeny tiny room or something large and spacious, your bed is the most important piece of furniture in the space. 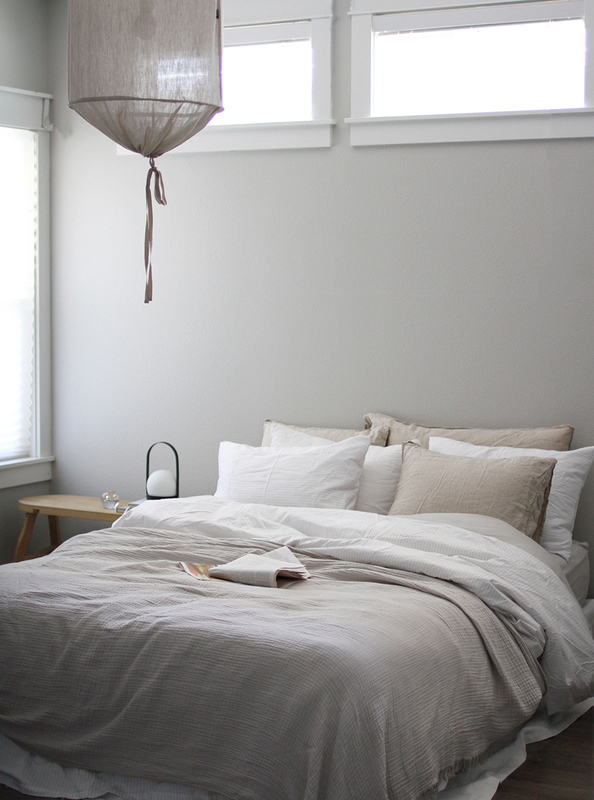 Uncomfortable or unattractive bedding can easily make or break the room entirely. Finding good quality and durable sheets, duvet cover and throws for your bed isn't just a good idea, it's necessary! 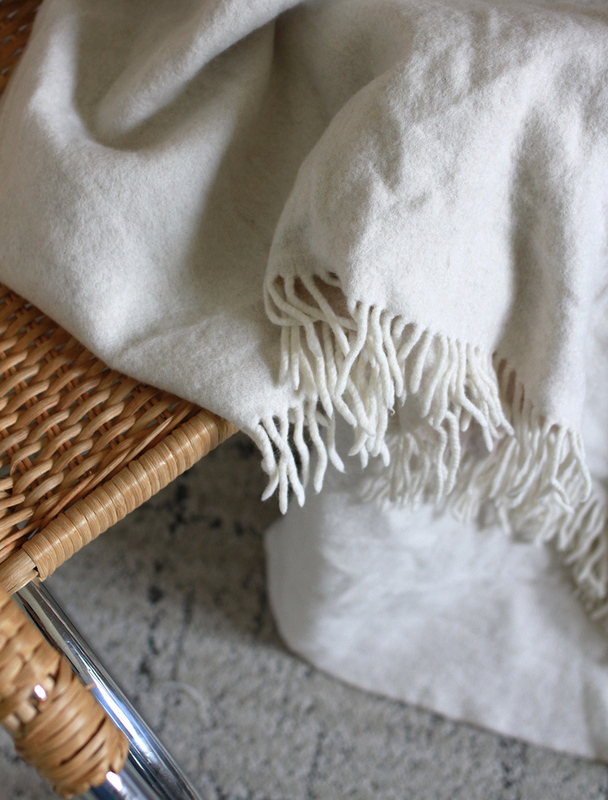 I like the imperfect look of linen but my husband hates the texture, so we compromise with a soft mix of cotton. 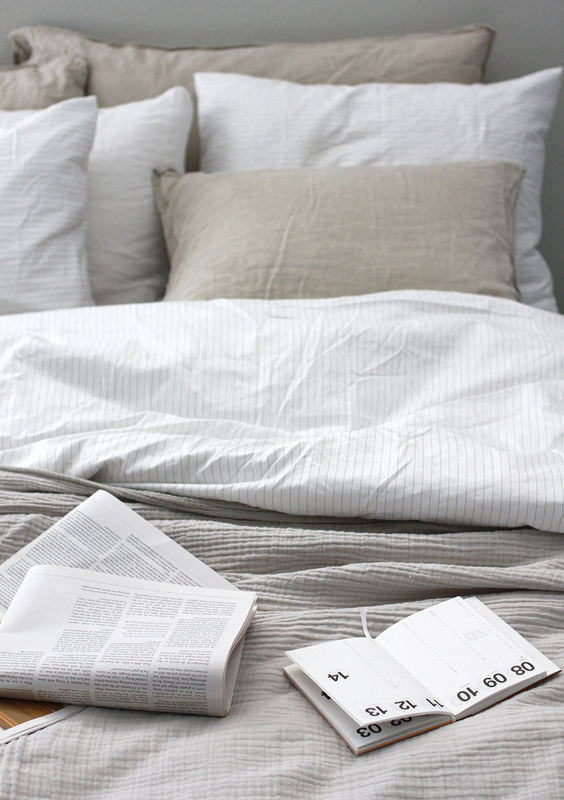 Brooklinen's striped sheet set has been on our bed months (washed every other week of course) and it's genuinely my favorite set! This is why I was so glad to partner with them to share our own experience with their products. Their color range and incredibly soft texture has been better than anything else we've used. It also washes well and I've yet to see any pilling and see any seams come undone. Duvets and pillows are also not to be overlooked! 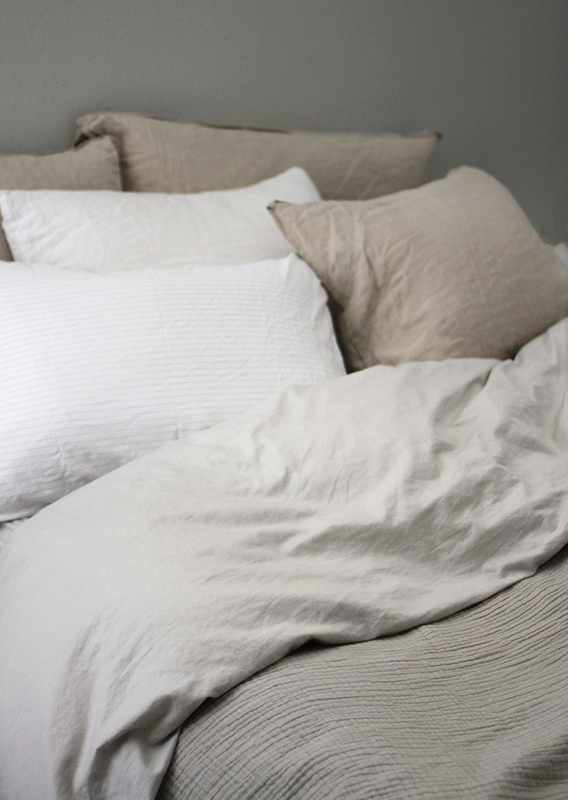 For me there's nothing better than a light and fluffy duvet and feather filled pillows. 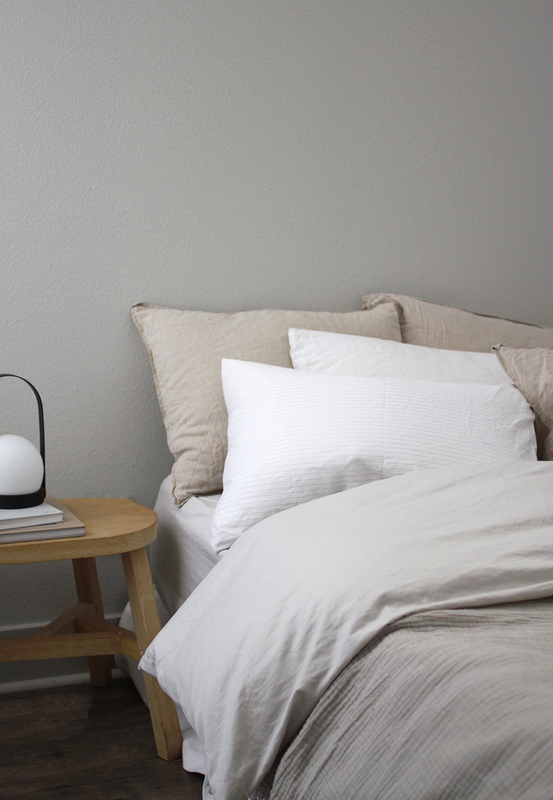 Brooklinen has not ceased to impress us in this department either, the pillows are probably my favorite part of getting into bed at night. My husband and I each like different pillows so we chose different degrees of firmness for each. 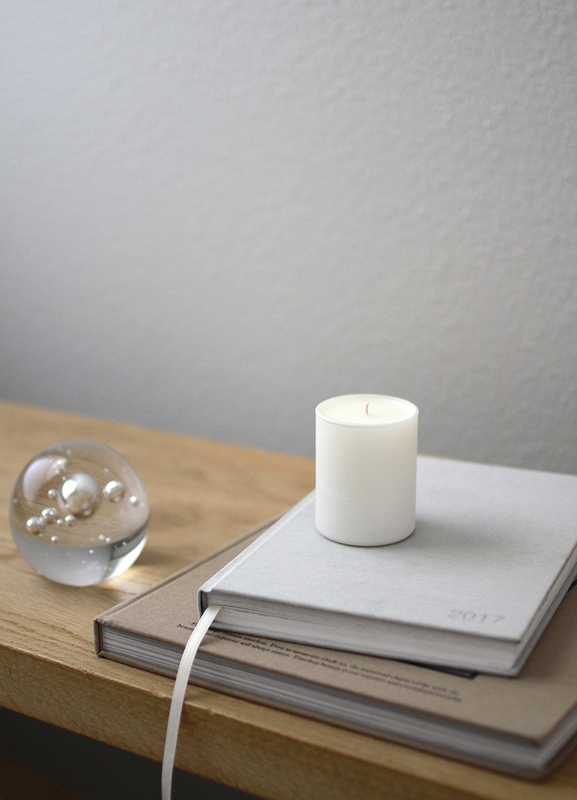 My husband and I use our bedside tables for different things, he usually keeps the light and phone charger on his side while I keep a notebook, water and some sort of lotion or spray near me. When I can't sleep for worry about all that I need to accomplish the next day, list making is one of the best practices I've found of helping me fall asleep. Or if I know I need to head to bed early but I'm not quite ready to sleep, reading a book (versus my phone or tablet) relaxes my mind like nothing else. For me having alternative seating besides the bed is crucial. Often my husband and I end of having long discussions or chatting about our day in the room after the kids are in bed. In this case it's really nice to have a place to sit. I will also use this corner as a place to work, edit photos, answer emails, etc. so an easy and comfortable seating option is important. Overloading it will cushions is not my style but usually one large cushion is still nice to curl up with. 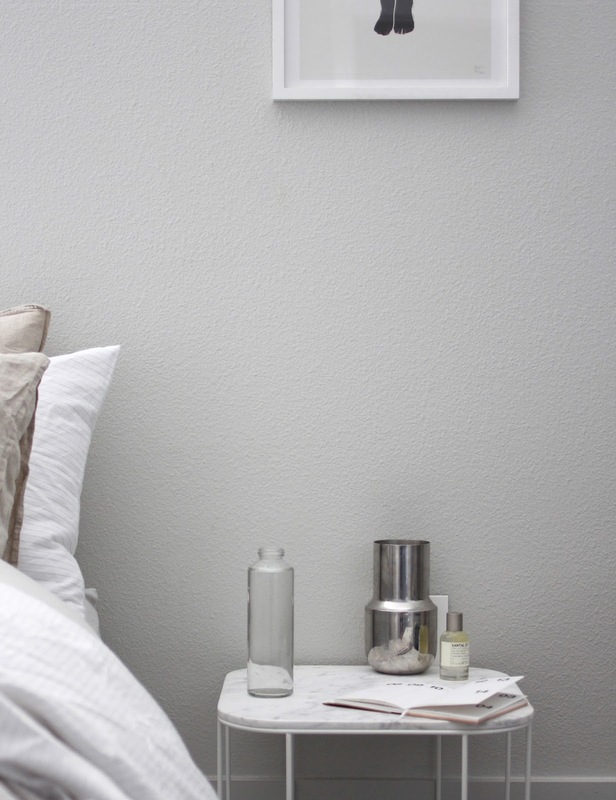 Check out the full, beautiful range or bedding essentials from Brooklinen here! 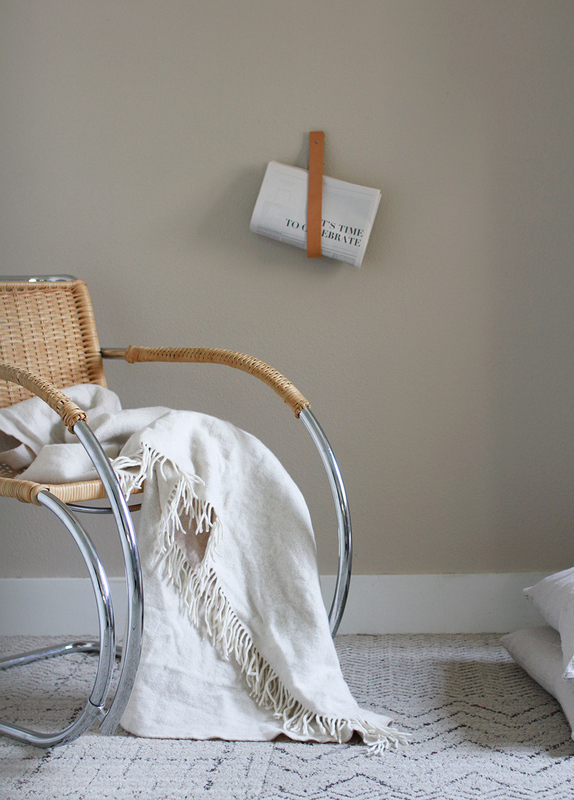 Thank you for this beautiful post and for sharing such a great bedding resource. 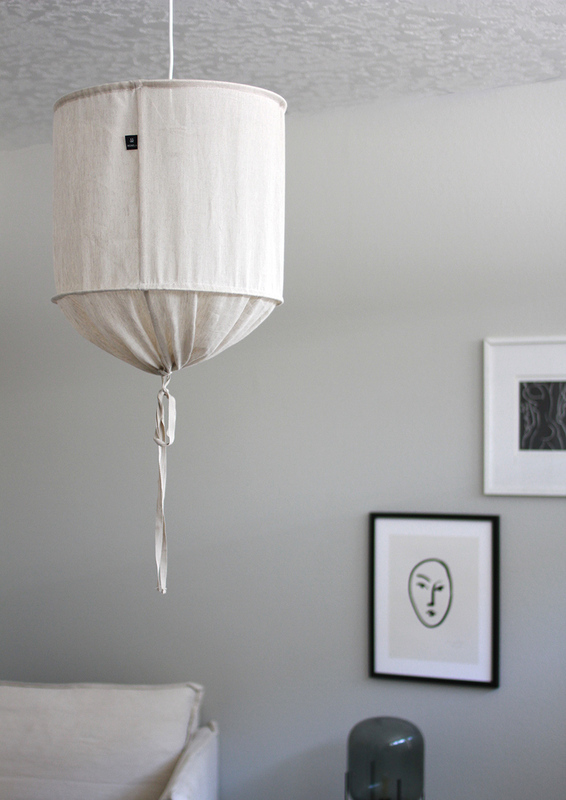 I'm wondering if you wouldn't mind sharing where you bought your ceiling light fixture- the textile/ linen one?